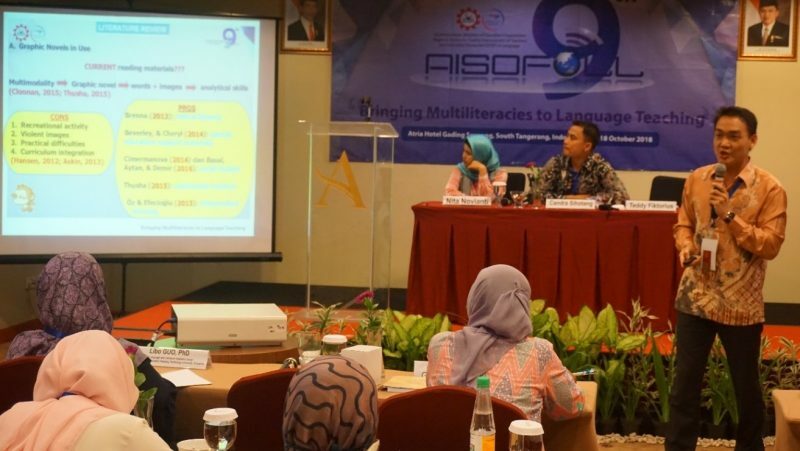 The Ninth Annual International Symposium of Foreign Language Learning (the 9th AISOFOLL) was successfully held on 17-18 October 2018 at Atria Hotel Gading Serpong, Banten. 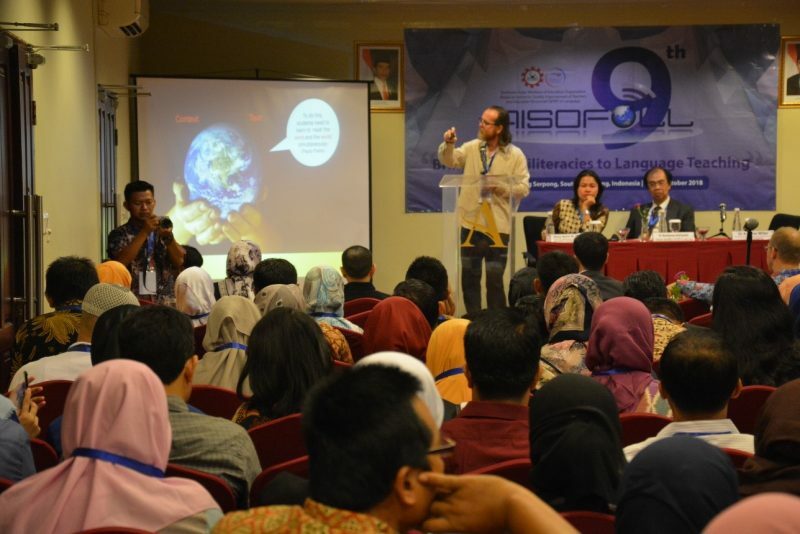 On this year symposium, SEAMEO QITEP in Language took the theme “Bringing Multiliteracies to Language Teaching”. Multiliteracies is the ability to identify and communicate meaning through the use of various communication media (oral, audio, visual, spatial, and gestures). On the other hand, multiliteracies is an approach that is very much needed in learning in the 21st . Through multiliteracies, the students are expected to have various skills such as critical thinking, problem solving, creativity, team working as well as communication in learning in the 21st Century. Through multiliteracies, the students are also more readily adaptable and reliable in solving problemsby using various media of communication. In addition, multiliteracies can create a real learning environment because learning activities are carried out on the lives of students. To provide a current overview of the theme, the 9th AISOFOLL invited six keynote speakers namely, Dr Andrew Miller (School of Humanities and Creative Arts Flinders University, South Australia), Dr Bambang Indriyanto (SEAMEO QITEP in Language, Jakarta, Indonesia), Prof. Dr Dadang Sunendar (Badan Pengembangan dan Pembinaan Bahasa – Agency for Improvement and Development of Language, Ministry of Education and Culture of the Republic of Indonesia), Junji KATAGIRI, PhD (Japan Foundation, Jakarta, Indonesia), Libo GOU, PhD (Nanyang Technological University, Singapore), and Dr Raimond Selke (Goethe Institut Jakarta, Indonesia). 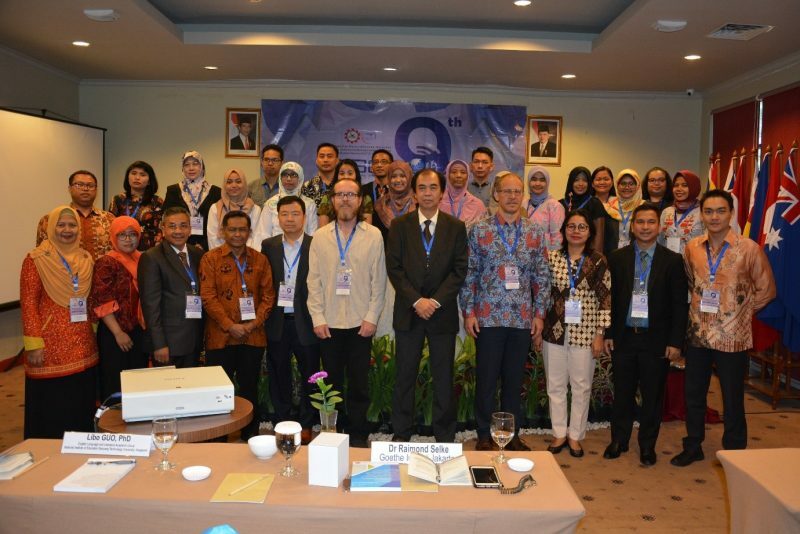 In addition to the keynote’s presentation, there were 31 presenters consisting of teachers and lecturers from various provinces in Indonesia, Brunei Darussalam and the Philippines. The results obtained from this year AISOFOLL will impelled the Centre to do its best in improving the quality of teachers and education personnel in the field of language education through various programmes particularly in multiliteracies in language teaching. Thank you very much for this wonderful opportunity SEAMEO QITEP Language! Warm regards from the Philippines!